A s an affiliate of Hendry Marine Industries, Inc., the Universal Environmental Solutions, LLC team specializes in marine services and site remediation. Our experienced and professional staff is ready to utilize our assets to handle your environmental service needs. 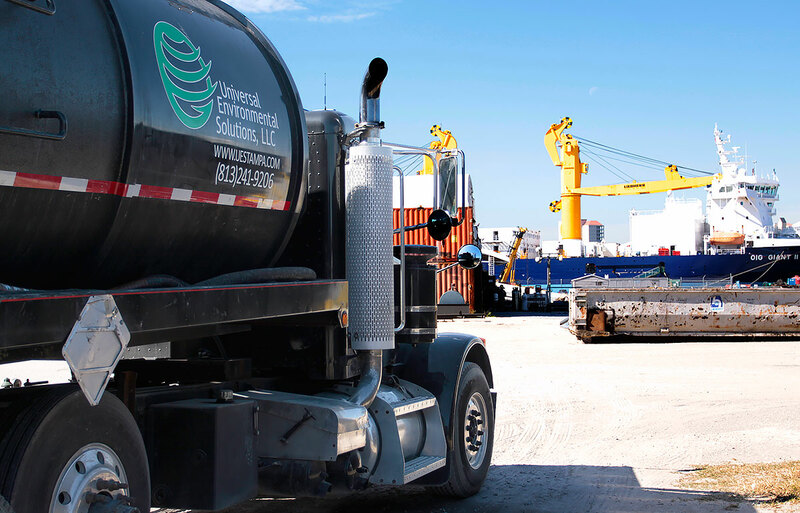 Our talents include: Barge & Tug Gas Freeing & Butterworthing, Marine Lead Paint & Asbestos Abatement, Environmental Remediation, General Construction Services (FL CGC #1505480), Transportation & Disposal.